We have been dropping to the 30's here at night and suppose to drop even lower this weekend!!! 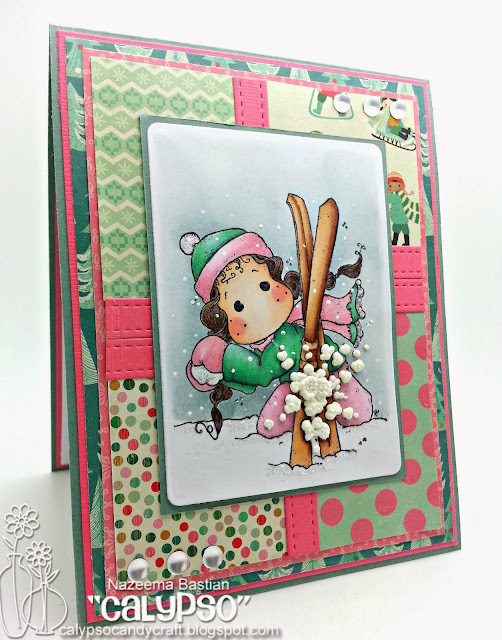 For my card today, I am using In the Snow Ski Tilda with non-traditional Christmas colors. Oh I am loving these new Magnolia images from the Winter Wonderland Collection. I have colored Tilda with my Copics with Stardust glitter glue added to the scarf and snow. I added liquid applique to add dimension to the snow, that in my eyes is being thrown at her!! 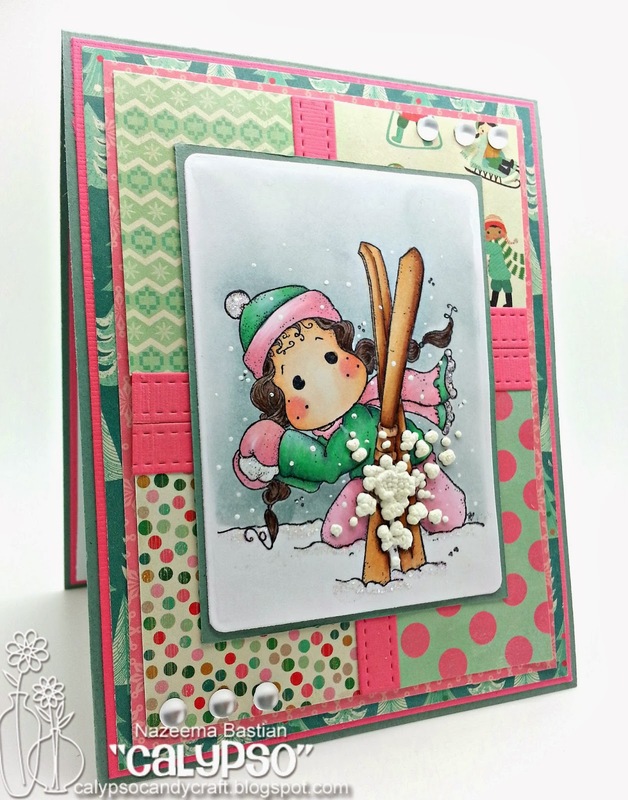 Love your mix of papers here and your amazing coloring...awesome card! Hi Calypso this is such a pretty card, and this image of Tilda is so perfect and I love how you've coloured it. Great colours and wonderful design papers. 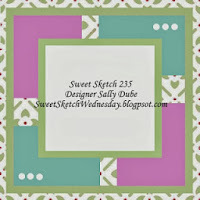 Great card and thanks so much for sharing it with us over at Sweet Sketch Wednesday and good luck. Beautiful card Calypso. 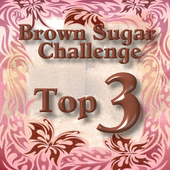 ♥ the image and color combo. Such a fun winter card! Beautiful coloring of this gorgeous image. I really love what you have done with your card. Thanks for joining us. Super sweet card! Love your image and gorgeous coloring. Looks like a fun snowball fight!! Thanks for joining us at Sweet Sketch Wednesday. How cute, love you color combo and fantastic coloring. Thanks for joining us. Lovely card. I love your non-traditional colours and lovely image. Gorgeous coloring and perfect papers! Thanks so much for joining us this week at Sweet Sketch Wednesday. A gorgeous card! Your coloring of Tilda is fabulous and I love your paper and color choices here. Thanks for sharing your creativity with us at Sweet Sketch Wednesday. Oh, I LOVE your papers. What a GORGEOUS card! Thanks so much for sharing this beauty with us over at Sweet Sketch Wednesday.